Which came first? No words are necessary in this beautiful, artfully humorous book by Anne-Margot Ramstein and Matthias Arégui. Every turn of the page offers a surprise. Simple graphic illustrations not only appeal to the youngest of children, but to the most discerning of adult readers as well. 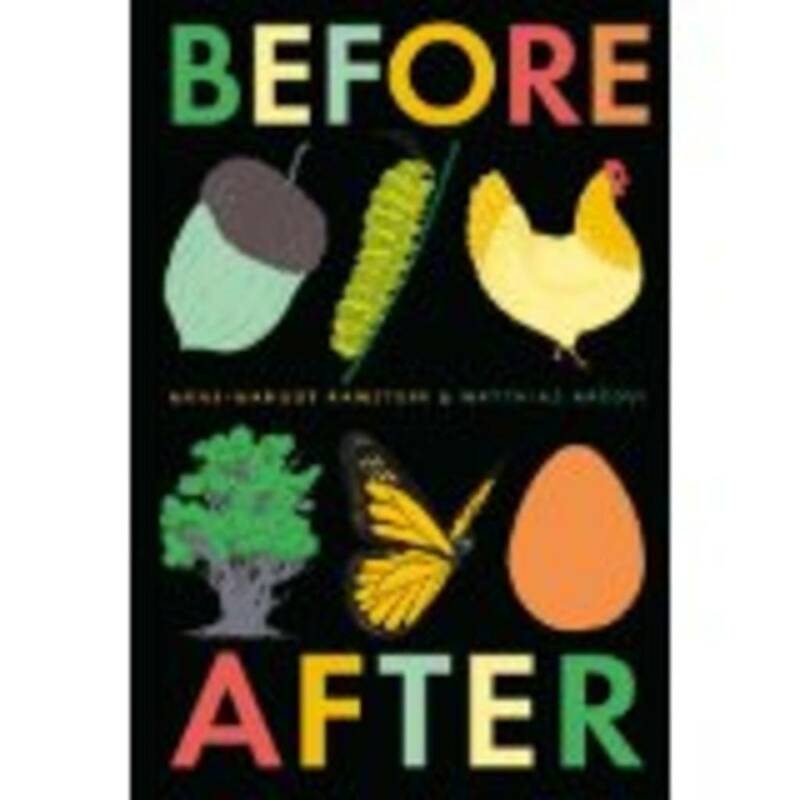 Before After is a beautiful rumination on the passage of time. 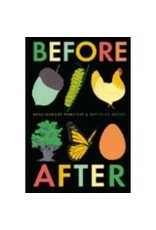 Everyone knows that a tiny acorn grows into a mighty oak and a caterpillar becomes a butterfly. But in this clever, visually enchanting volume, it’s also true that a cow can result in both a bottle of milk and a painting of a cow, and an ape in a jungle may become an urban King Kong. Just as day turns into night and back again, a many-tiered cake is both created and eaten down to a single piece. Dimensions: 6.9" x 0.8" x 9.9"